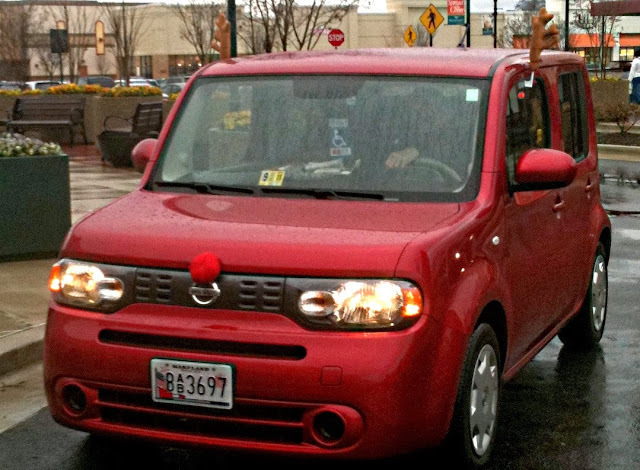 Rudolph, the Red Nosed Nissan! Perfect Ruby Tuesday Christmas Eve post. Merry Christmas to you and yours. I've seen a couple of them here, too! Because of the cute antlers I'll be positive about this car (it's still just a car after all) LOL. A very happy Christmas to you and Susan and a healthy New Year. That is too cute! You're a long way from home. Hope your travels are safe.